Read what happy customers have to say. You instantly cured Rosy’s separation anxiety on your visit when you correctly diagnosed the problem and gave me the tools to correct it. If you had not come into my life and Rosy’s it does not bear thinking about. I want you to know how you have REALLY saved the day as far as I am concerned, and that you are worth your weight in gold. My dogs love Craig! Craig came to visit us when I was just about to collect a new Boxer puppy and needed help introducing her to my three other Boxers. He worked closely with us to prepare myself and the other girls for the new arrival and was even here the day the puppy arrived to help with the introductions and make sure everything went smoothly - which it did, thanks to his skills and patience. He is always there to help and visits or advises if there is a problem. 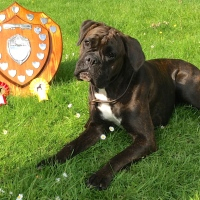 He helped me through the puppy stage and I am delighted to say we achieved Kennel Club Bronze at the age of 8 months and have just been awarded the top award of the year at our Ringcraft classes. All my Boxers love Craig and are always pleased to see him. His training methods are easy to understand and follow. I would recommend Craig if you want a happy, well trained dog or any problem solved. 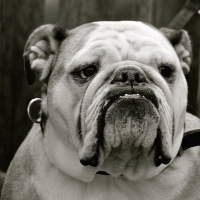 Craig came to meet my bulldog Trevor when he was a puppy and worked magic, making behavioural changes, turning him into the kind of dog we really wanted to have. Minor annoyances that would have developed over time were eliminated. His way of interacting with Trevor was truly remarkable and changes were instantaneous… His approach in advising us in adopting our behaviour towards was also quite fun but effective. A dog is with us for a long time so why not have them at their best? For me it’s a no brainer. 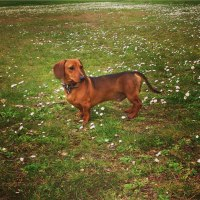 We contacted Craig due to having a few barking issues with our Miniature Dachshund, Nacho. Within minutes Craig had Nacho listening to him and responding to his requests when prompted. Craig very quickly pointed out how we had both given Nacho the position of power in the household and that we were basically allowing him to behave that way. The barking at other dogs was a result of leadership at home, so we focused on addressing these things first. Craig gave us many great tips to help turn things around, which we did try our best to put in place. Craig very kindly came back for a follow up visit and even came out on a walk with us. 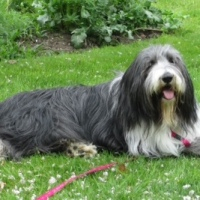 Craig is a brilliant dog trainer, hugely insightful and extremely patient. He is a genuinely lovely man and we can’t recommend him highly enough. I would like to thank craig for all his help. It was last resort to.call in a behviouralist for our english ball terrier roxy , as her contant chewing and domineering behaviour had caused us eminence stress. Craig was recommended by a friend who had used him. Craig had gone out of his way to teach us how to retrain roxy. This has made a huge transformation to her bad ways. We would like to thank.Craig and would highly recommended him to anyone who is having problems with their dog. 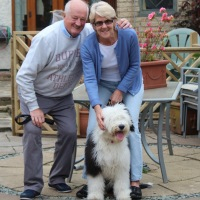 Hi Craig Many thanks with all your help and useful tips which helped us at the beginning with Shola our Old English Sheepdog pup who is a very lively little/big puppy. It was all so daunting at the beginning but when you came she seemed to respond to your commands most of the time which then helped us after you went although we were surprised how you managed to get her to do what you wanted. Obviously you have the knack. Now we are building on what you told us and slowly she is getting better and definitely more manageable. When we took on our 1 year old Boxer ‘Spud’ we had two months of tears thinking we would have to give him as he was hard to handle. He barked and snapped at people outside and jumped and snapped at visitors to the house. He also had separation anxiety, which caused him to chew things and mess in the house. He was very unpredictable with our 8 year old daughter so we were unsure whether we could keep him. Then we met Craig. After one visit there was a big improvement and four visits down the line there was a vast improvement. With Craig's excellent help and understanding we’ve given Spud a good life. Many thanks for all your expert help Craig. We are the proud owners of a rather nervy sausage dog called Wurzel. We had a few problems with him being very clingy and suffering from separation anxiety, especially after a house move. We were keen to set Wurzel on the right training track while he was still a puppy and set him up for a happy life with us. Craig is an absolute miracle worker and after just one session we had a completely different dog. Of course the problem was us and not the puppy, but we responded well to training! We have just had another follow up session to iron out a few more little issues and again Craig was fantastic. He listens closely to the issues, observes the temperament of the dog and interaction with the owners and quickly diagnoses the issue and presents neat training tricks to resolve them. You don't need many props and the results have been instant. Craig was very patient with us and we had several hours of his time. He is calm and also very entertaining! I can't recommend his services highly enough. Well worth the investment. Craig from Well Mannered Mutt is basically a genius. He could see instantly what our 8 year old Romanian ex-street dog needed. 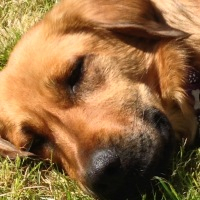 In the space of just a couple of weeks, with 2 visits from Craig, Banjo has transformed from a menace to society, who would attack visitors, and bark endlessly, to a chilled happy dog. Both Banjo and I have learnt so much from Craig and would 100% recommend him to anyone needing a dog trainer. He’s brilliant, and lovely too! 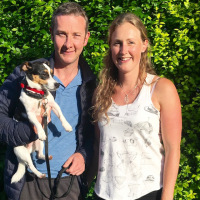 We recently got our dog Toby from a rescue centre so we called upon Craig's expertise to help us settle Toby in and to understand and control Toby's big personality and needs. 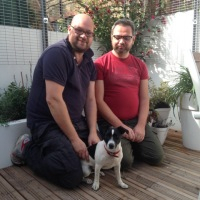 Craig has been paramount in ensuring we have a happy, well behaved and controlled dog. We would have been in a pickle and out of our depth without Craig's patient teaching. We thoroughly recommend Craig to help with any behavourial issues, no matter how big or small. 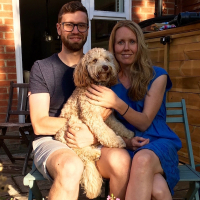 Craig helped us train our 9 month old puppy that had learnt all the basic commands but we weren't sure how to turn him into a beautifully trained and obedient adult dog. 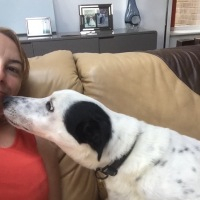 He is a fantastic dog trainer that really takes the time to discuss your needs and work through exercises. By the end of the our two sessions his lead walking was amazing and he was really focused on us on the common, rather than picnics and other distractions! Would highly recommend. Thanks! Craig understood the issues straight away, and after a just one training session Poppy’s behaviour started to change. He’s brilliant at training dogs, but more importantly, he knows how to train the owners. I’d have no hesitation in recommending him.